The newly launched Maxwell® RSC PureFood Pathogen Kit by Promega offers food safety labs an easy and consistent automated DNA purification method for PCR-based testing of food pathogens. The kit does not require enzymatic pre-treatment and, when used in combination with the Maxwell RSC Instrument, can effectively purify DNA from 1 to 16 food matrix samples in 40 minutes. Promega Corporation’s new Maxwell® RSC PureFood Pathogen Kit offers food safety labs an easy and consistent automated DNA purification method for PCR-based testing of food pathogens. The kit does not require enzymatic pre-treatment and, when used in combination with the Maxwell RSC Instrument, can effectively purify DNA from 1 to 16 food matrix samples in 40 minutes, saving time for those who need to make quick decisions about potential food spoilage and contamination. Quick & Easy - The Maxwell® RSC PureFood Pathogen Kit, used with the Maxwell RSC, is a simple, automated protocol with few steps and very little hands-on time for technicians. Robust - The kit has been validated for the purification of both Gram - and Gram + bacterial DNA in one workflow from a number of different food samples including E. coli 0157:H7, Salmonella enterica, and Listeria monocytogenes. Sensitive & Consistent – The automated workflow provides consistent DNA purification performance while also allowing labs to isolate high-quality pathogen DNA from small food sample types and still get enough for downstream analysis. 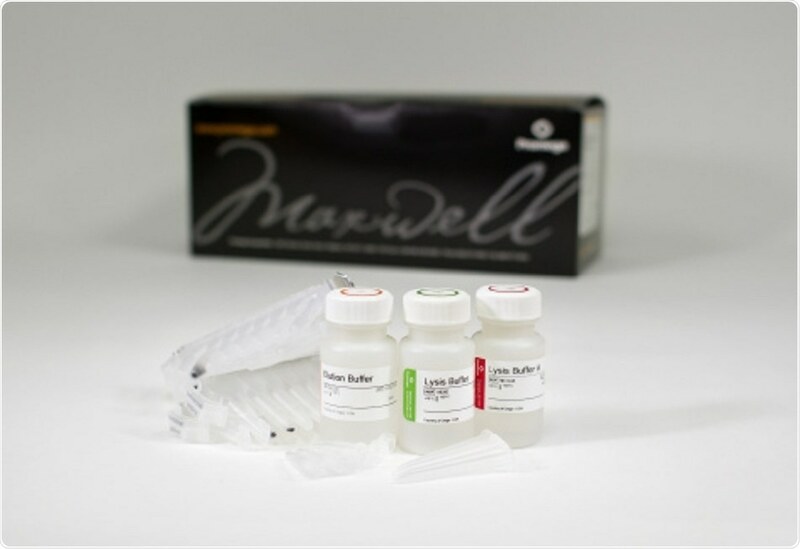 Promega introduced the Maxwell® RSC PureFood Pathogen Kit to the market this week. The kit builds on the company’s growing offerings of tools and technologies for food-testing laboratories, including the Maxwell® RSC PureFood GMO and Authentication Kit, which Promega launched in 2016. Chris Moreland, Promega Global Product Manager.